Harmony and equilibrium. Applying equal interest in all values simultaneously weaves a strong foundation. When your effort and interest is balanced across all of the pillars of Personal Pillars, greater progress is made in your evolution. Balanced foundation is essential to stabilize your evolutionary process. Equalization – Equal interest and effort to support all pillar values minimizes the effect of a weaker value impacting the growth of a stronger value. Stability – Balance is not possible without stability. Proper stability and grounding in the formation of the foundation of each pillar is fundamental to the healthy evolution of your aligned life. Harmony – Finding harmony in your efforts and interests amongst the values of each pillar reduces the possibility of distortion in your evolution. Where a lack of harmony is found you can look for areas of imbalance and take the appropriate action. You can benefit from the strategic alignment and positioning of each pillar. As an example: your physical body is impacted by the skeletal and muscular alignment. Structure – By understanding the organization of the elements of each pillar, you are provided insight into the proper alignment of your efforts in self improvement. Arrangement – Efficient arrangement of efforts, actions and interests in the values enhances the effect of the exercises. Positioning – The strategic positioning of physical, mental, emotional and spiritual self through refined coordination of each of the pillar elements creates efficiencies that support and streamline the benefits. To feel and discern the nuances of living the values is to LISTEN. Being sensitive to the values of each pillar will enhance their benefit to your well-being and allow you to better tailor your efforts for maximum progress. Receptive – To receive information objectively so that the big picture awareness is available before perspective relationship occurs. Responsive – The form and shape of a response is aided when sensitive to the environment. The sensitive response is more effective and efficient. Awareness – Cognizance of yourself and your environment is critical to an enhanced experience. The more aware one is, the more “alive” one feels. Integrity is Basic Personal Pillars; it is the soundness of your practice. This is the walking your talk and manifesting your intentions. Equally, the integration of all the values of the Personal Pillars are paramount to having complete life integrity. Uniformity – Uniformity in action across all pillars and through multiple values within a pillar creates strength in evolution. Commitment – Commitment to your potential is essential to the evolution of self. Bell all that you are. Consistency is the steady application of action and interest to the pillar values over time. Consistency allows for ease and pace, resulting in efficiency of your effort and enhances long term benefits. Non-sustained peaks of attention have little long term benefits in your life. Regularity – Steady attention over time. This results in far greater long term benefits. This is the classic tortoise and the hare. Subtle sustained changes will have far greater impact in your overall growth than quick fixes that are soon abandoned. Continuity – Consistency of lifetime commitments. Make fewer commitments, but those that you make, make for life. For example, in health – start with drinking more water. Just two more glasses a day will have a profound impact on your long term health. Cycles – Personal cycle awareness. 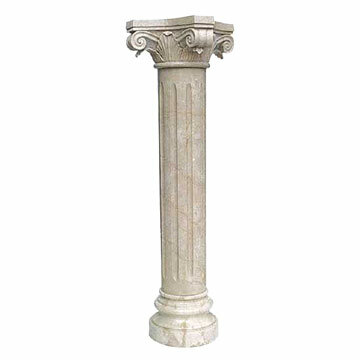 All people have cycles that effect their ability to evolve in each of the pillars. Understanding your own personal cycles will offer insight into where to apply your attention. Discipline is needed to be our best. The BASIC personal Pillar values are a foundation for discipline. Listening with Sensitivity allows you to be better informed of where to apply your effort. Balance and Alignment of your effort magnifies the results. Integrity and Consistency ensures that you are always moving forward with firm steps and limiting any detours.